Disney social media director, Thomas Smith, treated twitter followers to a special treat when he twitpic’d a photo of the Via Napoli ovens during a test meal last night! As you know, Via Napoli’s wood-burning ovens in the photo are named after the three active volcanoes in Italy –- Mount Etna, Mount Vesuvius and Stromboli! The restaurant will open to walk-in customers on Monday, and a media opening will be held on August 5th. 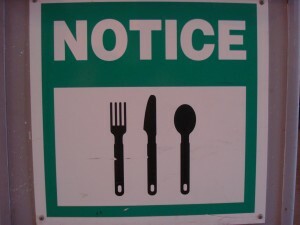 The restaurant will continue to take walk-in customers only through September 10th. 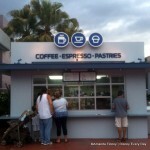 Grand opening festivities will be held on September 10th. Guests can make Via Napoli reservations for September 10th and later starting on August 6th. 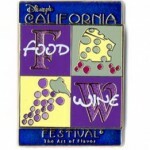 Call 407-WDW-DINE or check out DisneyWorld.com. 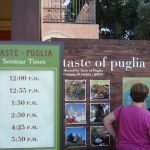 To see all of the Disney Food Blog coverage of Via Napoli, click here! 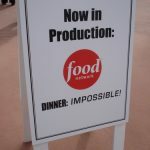 Dinner:Impossible Meal at Walt Disney World! I love it. That place looks amazing. You can bet I will be making an ADR first thing in the morning on the 6th. The menu looks so good. Too bad it’s only a table service restaurant though. I’d love to be able to grab a slice of pizza on the go! I cannot wait to try here in October! Do we know yet if we will be able to make ADR’s on the website when bookings open, or will I need to call? Cant wait to try this out. NOTE, just because its a table service, doestn mean you can order stuff to-go. Like in le Cellier, you can walk up and order soup, and even breadsticks to go. I dont know if you can do this at Via Napoli, but I’m just saying, there’s a possibility. I’m going down for Labor Day weekend, and I’m seriously tempted to bail on one of my Epcot ADRs and try out Via Napoli instead. I haven’t been to a soft opening/pre-ADR restaurant before; I wonder if the lack of ADRs will make it easier to get in, or more difficult! 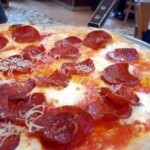 I really do hope the pizza tastes like that we had in Naples! !